Inside Previews NOW! Sign Up for Previews! Floor Plans & Price Ranges Available‎! 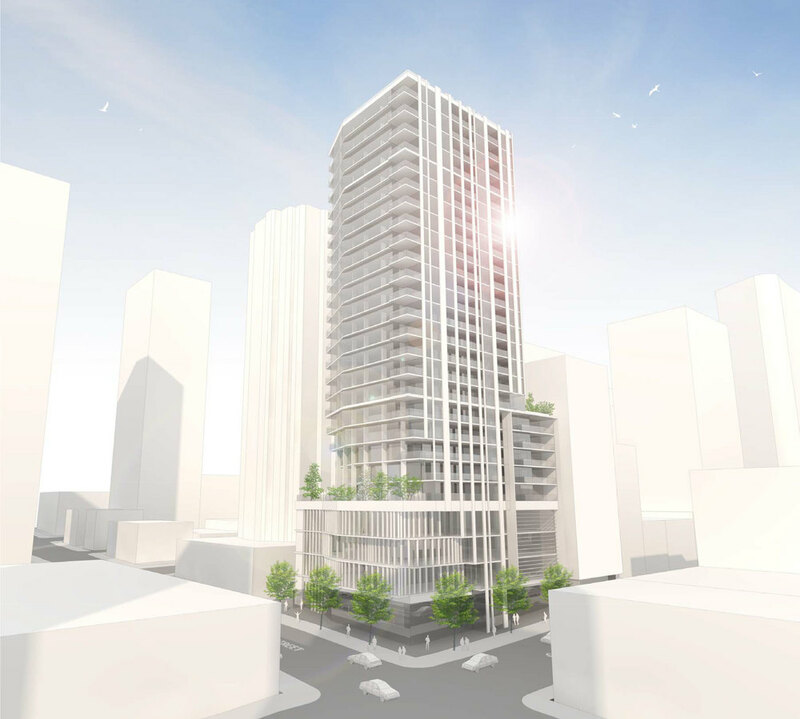 From Boffo Developments comes The Smithe, a new, 26-storey mixed use tower at the corner of Smithe and Cambie streets on the edge of Yaletown that will offer office and retail space in addition to 107 elegant boutique city homes. Expect detail-obsessed quality backed by a10-year Travelers Guarantee Warranty that assures the integrity of your purchase. And considering the upcoming developments along the eastern part of Georgia Street and around BC Place Stadium, you’ll be making a sound investment in The Smithe. How convenient is it when much of what you need is but a stroll away? Catching the action at BC Place Stadium or Rogers Arena, shopping at Pacific Centre or along Robson Street, dining in Yaletown or Gastown, clubbing on Granville Street, listening to a concert by the VSO or seeing a performance at Queen Elizabeth Theatre, following the seawall around False Creek, or taking in the Jazz Festival at the Roundhouse Community Centre. These are but a few of the activities close at hand if you live at The Smithe. As this project is in pre-construction, pricing has not been announced. Sales are expected to start this summer. We recommend signing up to our VIP list above to keep up-to-date on developments. Located at 885 Cambie Street in Downtown Vancouver, The Smithe by Boffo is in the heart of Downtown Vancouver. Detailed floor plans have not yet been released, but development plans include a residential mix of 1-, 2-, and 3-bedroom condos. Of note, are seven magnificent penthouse suites over 2,000 sq ft with three bedrooms, a den, and private rooftop deck. We’re awaiting details of the indoor and outdoor amenities available at The Smithe to be finalized. Proposed for The Smithe are 158 residential and 20 commercial parking spaces in six levels of underground with two Class A and two Class B loading spaces. 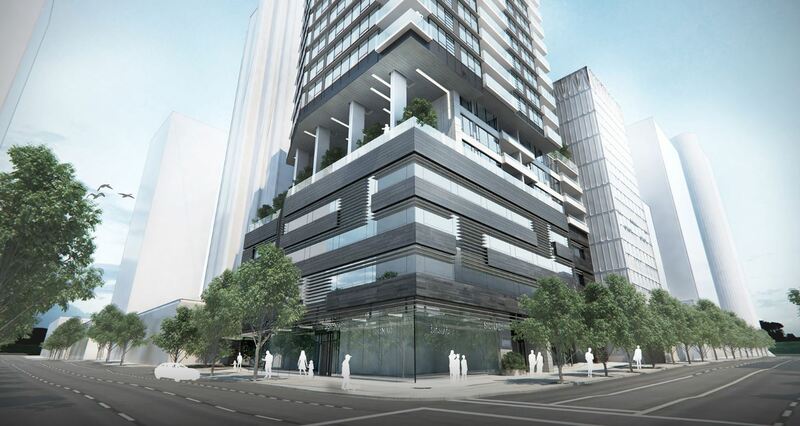 On Level 6, 149 bicycle spaces are planned with street level access provided by a dedicated bicycle elevator. On behalf of Boffo Developments, GBL Architects have designed a retail, commercial, and residential tower at 225 Smithe Street to address the large blank wall on the adjacent Law Society of British Columbia building, while retaining private views from 888 Hamilton and ensuring the future development opportunities of the remaining mid-block properties. GBL is a cohesive and progressive Vancouver-based firm of 38 architects, project managers and technicians with a 25-year reputation of providing a full range of architectural services to the private and public sector. Their projects include Homei Properties’ Henry at 5389 Cambie, Brenhill Developments’ 1111 Richards, and The Regent at 523 West King Edward. 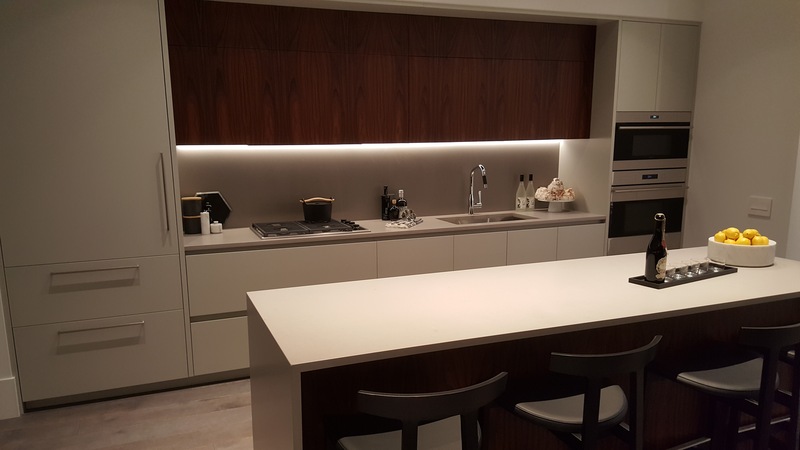 With over 45 years of experience, Boffo has created over 4,000 uncompromising homes and bold industrial projects designed to withstand the daily rigours of life. Their focus is the perfect synergy between form, function, and the finest materials. Artemisia, Firma, and Modello are examples of their more recent projects. These luxury West Vancouver condo homes are expected to be completed by spring 2018. Are you interested in learning more about other homes in Yaletown, Downtown or near Chinatown? Check out these great Yaletown presales!